On Thursday, October 20 the U.S. Fund for UNICEF presented Sting and UNICEF UK Ambassador Trudie Styler with its annual Children’s Champion Award. This year’s award recipients were honored for their commitment to improving children’s lives and the environment. The evening’s celebration was a fundraising event co-chaired by Alli and Bill Achtmeyer, Barrie and Kevin Landry, and Elaine and Bobby Sager that brought in a record $1.15 million for UNICEF’s global child survival programs. Sting and Styler, a UK UNICEF Ambassador since 2004, strive to make a difference for children around the world and protect the environment through numerous public efforts. From raising funds and awareness for the UNICEF End Child Exploitation and United Against AIDS campaigns to visiting tsunami-affected Sri Lanka in solidarity with those affected by the devastating disaster, Styler has been a leading voice on behalf of some of the poorest and most vulnerable children on earth. In November 2005, she received the highest accolade bestowed on a UNICEF Ambassador—the Danny Kaye Humanitarian Award—for her commitment to the world’s children. Sting has also supported UNICEF by performing at several fundraising events and concerts throughout the years, including the La Dolce Vita event in 2004, which raised $1.1 million for UNICEF’s End Child Exploitation campaign. In 2005, following the devastating Tsunami in Southeast Asia and Sri Lanka, he gave a benefit concert in Western Australia which raised more than $4 million for relief efforts. After Styler visited Ecuador with UNICEF in May 2007, where she met with children and families who were deeply affected by environmental damage to the rainforest, she and Sting enlisted the support of The Rainforest Fund, UNICEF and a local organization to launch a program enabling families, health centers and schools to have clean water, even in the most polluted areas. 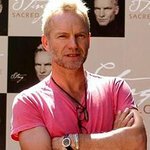 Sting and Styler founded The Rainforest Foundation, one of the first organizations to focus on the vital link between protection of the rainforest and securing the rights of indigenous peoples, in 1989. The Children’s Champion Award is presented by the U.S. Fund for UNICEF to public figures who strive to help UNICEF reach the day when zero children die from preventable causes. Past honorees include the late Audrey Hepburn, Nelson Mandela, H.M. Queen Noor of Jordan, Princess Caroline of Hanover and Red Sox star David Ortiz. Most recently the Boston Celtics were honored for their off-court efforts to raise money for children in Haiti who were affected by the 2010 earthquake that devastated the small island nation. The event featured special performances by American Jazz Trumpeter Chris Botti, who also served as the evening’s Master of Ceremonies, and the Boston Children’s Choir. Other festivities included a live auction featuring a stay at Sting and Styler’s Tuscan villa, batting practice with Red Sox first baseman Adrian Gonzalez at Fenway Park and signed Fenway seats, a meet-and-greet with Sting and a pair of tickets to his Back to Bass concert in Boston, tickets to an Oscar de la Renta Fall fashion show in New York, and “Friendship and Support,” one of only two original Shepard Fairey paintings of the legendary George Harrison. The painting, which benefited the George Harrison Fund for UNICEF, was created to honor the legendary musician, pay tribute to his altruistic spirit, and commemorate the 40th anniversary of the ground-breaking Concert for Bangladesh. Guests included co-chairs Bobby and Elaine Sager, Alli and Bill Achtmeyer, and Barrie and Kevin Landry; committee member and premier event planner Bryan Rafanelli; committee member Tiffany Ortiz; sports writer Dan Shaughnessy; and committee members Kaia Miller Goldstein and Jono Goldstein.